I'm supposed to be working and I didn't mean to end up on the Mulberry site but a Christmas shopping mailer landed in my inbox.... What's a girl to do? 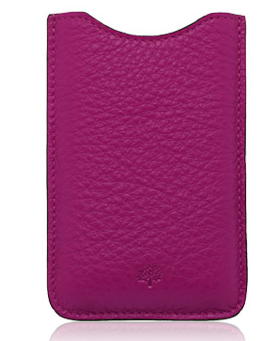 Please bring me this beautiful Hot Fuchsia Mulberry iPhone case. Someone just pointed out that £70 may be over budget for a Christmas pressie... but let's face it, the only person who would possibly buy it for me is my hubby and he knows that I'm worth it so I recon that i'm good to go. 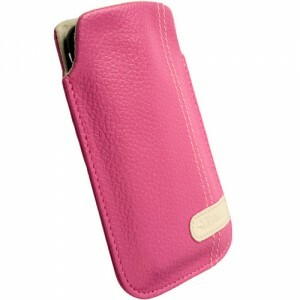 Then came across an alternative case from Rightbag priced at the very affordable £14.99. Then I started looking around the rest of the site. Hello.... They have the best range of laptop bags aimed at women that I've ever seen. Sticking with the pink theme that this post seems to have fallen into. 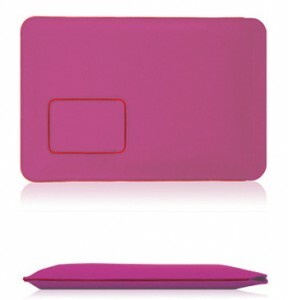 This thick wool laptop sleeve is divine. Looks like they have a great delivery service too. Order by 3pm for same day dispatch. It doesn't get any better than that!